Sad Farewell To Our Dear Friend Sam Wellings – Lordswood R.F.C. 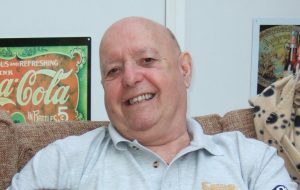 Sam was a former Chairman, Secretary and Fixtures Secretary of Lordswood RFC whose involvement dated back to the very beginning in 1983. Sam was always great company, committed and helpful in whatever he did. He was the first person everyone looked to whenever there was an issue. ‘Don’t worry Sam will know’ – and he did!! He was not just an administrator though, and was, for several seasons, the 1st team physio with a style which was, shall we say……..unsympathetic. Sam was passionate about Lordswood, but he only played once during a tour to Falmouth where his status of ‘Super Vet’ allowed him a 10m head start! Together with his wife, Linda, he proudly watched both his sons play for the club. He witnessed league wins and cup triumphs but was also ready to travel long distances to away games in the cold and torrential rain during times when the team was not performing so well. It didn’t matter to Sam, it was all about the club. In recent times Sam’s health had not been so good, but still, he rarely missed a game. Sam was a great character, and a true gentleman, and to say he will be missed by all of us who had the privilege to know him is a massive understatement. We think of Sam as a LRFC legend, and are so glad we knew him as friend. Our thoughts and best wishes go to his family.